When pronoun — aka Alyse Vellturo — tells me that “it takes someone being exposed to something 10 times for someone to react to it,” I know she’s speaking about her experience founding and managing her own Sleep Well Records. But she could also be referring to any of the following: her musical endeavor, her day job as a client manager for worldwide indie distributor The Orchard, or her tenure at the Berklee College of Music. I almost wish she’s referring to something else, an artifact that’s either commentary on pronoun’s beginnings last year or further underscoring that her nine other reactions to this are floating around somewhere unapproachable on her filling schedule.I almost wish she’s referring to something else, an artifact that’s either commentary on pronoun’s beginnings last year or further underscoring that her nine other reactions to this are floating around somewhere unapproachable on her filling schedule. When removed from its context, a YouTube comment from user “horsecockphephner” just reads like every other scratch of buffoonish static from 45’s far-right. The comment is one of the most upvoted on the official video for “just cuz you can’t,” the lead single from Vellturo’s debut, There’s no one new around you. It broadcasts gratitude in digital deadpan: “Thank you for openly supporting Trump. We need more young, brave conservative musicians.” Perhaps it’s ironic that the false admiration comes shortly after pronoun recorded “it’s the way,” a live track penned directly after viewing the 2016 election results. At the song’s midway point, solo guitar gets accompanied by crisp, rolling snare when the track’s refrain bares its shy teeth: “It’s not the way you said it, but it’s the things you said, so I’m not being dramatic when I stay in bed.” All proceeds were forwarded to Planned Parenthood, and the song nearly celebrates this purpose, when pronoun’s full-band explosion — anchored by Sleep Well artists Sulene and Charles Fauna — swells and relaxes, before disappearing in a flash. Young and brave, yes, but in no avenue conserved. 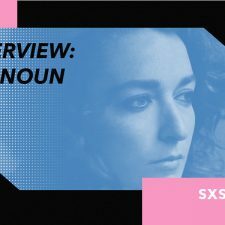 Vellturo herself is no stranger to musical recomposition, having frozen Gnarls Barkley’s “Crazy” in half-time during one of pronoun’s SXSW sets this year, and she’s quick to dismiss skeptical newcomers. “Why wouldn’t you get a bunch of artists together that you love instead of spending $10,000 on a big name?” As she says it, like that one half-fermented 1 a.m., sometimes there aren’t any other options than what swirls in front of glazed eyes, glowing and true. Returning to the video for “just cuz you can’t”: it’s another case study in Vellturo’s clever manipulations of time and space. 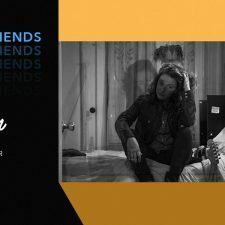 Aided by the post-production color collection, the track’s punchy backbeat is filtered through lenses which cover the songwriter in hues slowly flickering between greens and golds. She seems to be flickering even slower, letting her eyes be the emotional cue while her limbs seem to drag through a post-breakup daze. 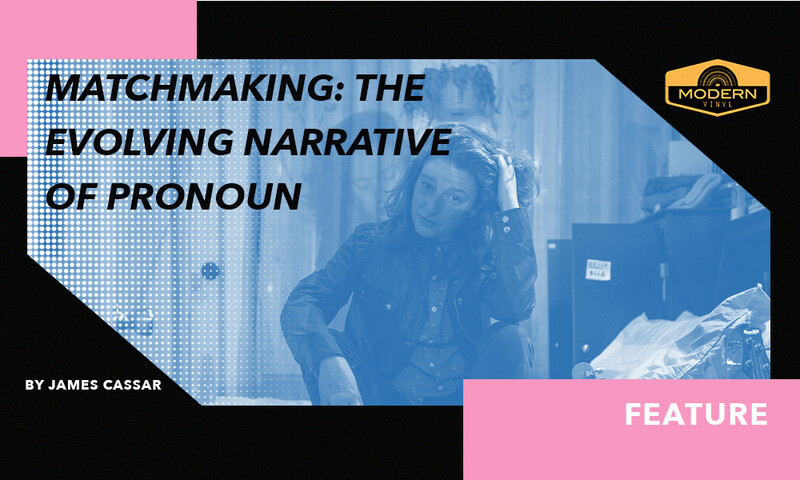 Near the climax of the song, where pronoun’s guitars flare into exhausted screams, the action unfolds in reverse, with the establishing shot of Vellturo asleep in bed one of the parting moments. From the bedroom pronoun begins, to the bedroom it returns — if not to work on another conceptual arc, then to find new flames to capture. There’s no new around you. and Use Passport to find a new location. are both available now via Rhyme & Reason Records/Sleep Well, with the former available for purchase on vinyl.